I have told You once how rare is fawn colour in Barbets (I don’t think there are more then ten such dogs), fortunately the old and forgotten colours are slowly coming back. 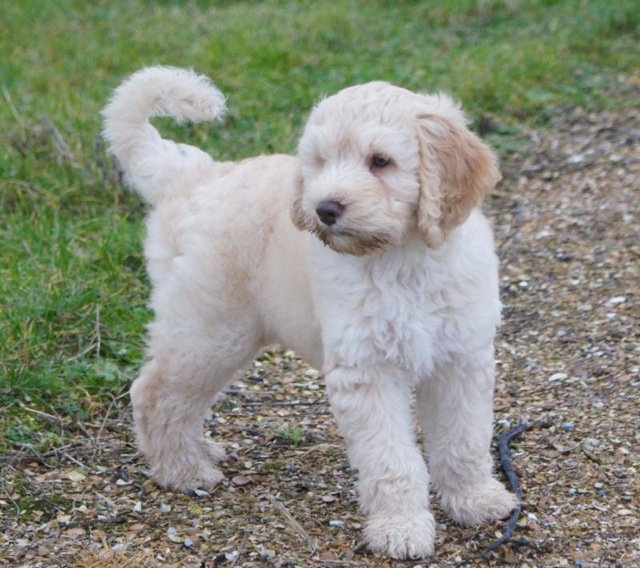 Alex and Greet, Barbet breeders in Holland, were kind enough to share this sweet photo of little Maly Cudo. There is also another “mystery” in the name of Maly Cudo and his little brothers and sisters … they are all in Polish. 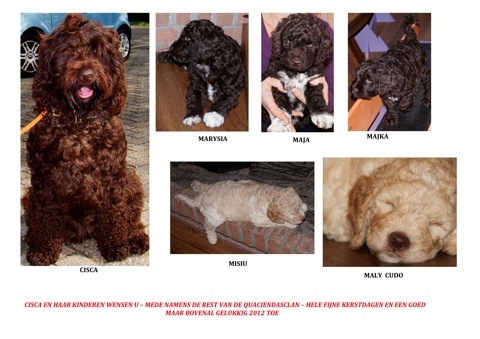 Maly Cudo (little wonder), Misio (teddybear), Marysia, Maja and Majka. The Polish names were given to the puppies to honor Cisca, their mother who was born in Górka Podduchowna (the very middle of Poland).